52 x 36 in. (135 X 90 cm. 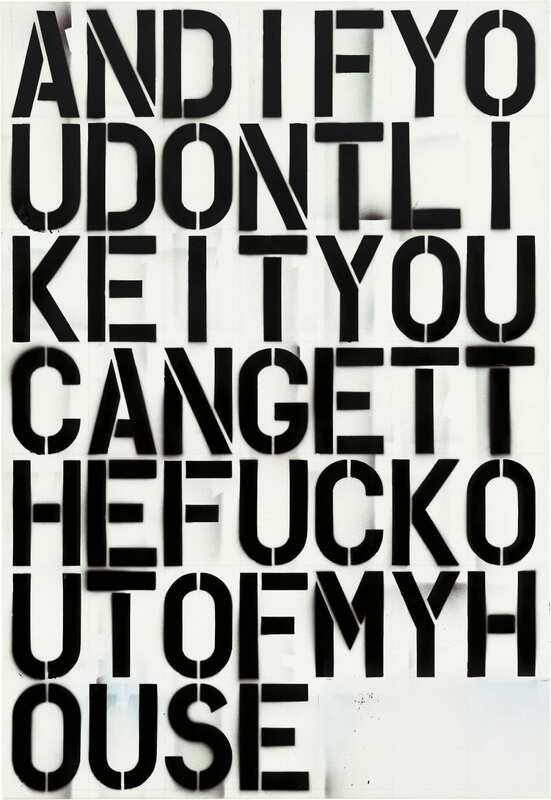 First and foremost, Christopher Wool is a painter and when it comes to the discourse on the viability of painting, he shows us that the medium is indeed very much still alive. make the world most interesting. In 1987 Christopher Wool, upon the referral of Jeff Koons, hired a young college student to be his only studio assistant. Over the next six years, Wool and his “right hand” worked side by side, forging a close working relationship and friendship as they navigated the rise of Wool’s artistic career. 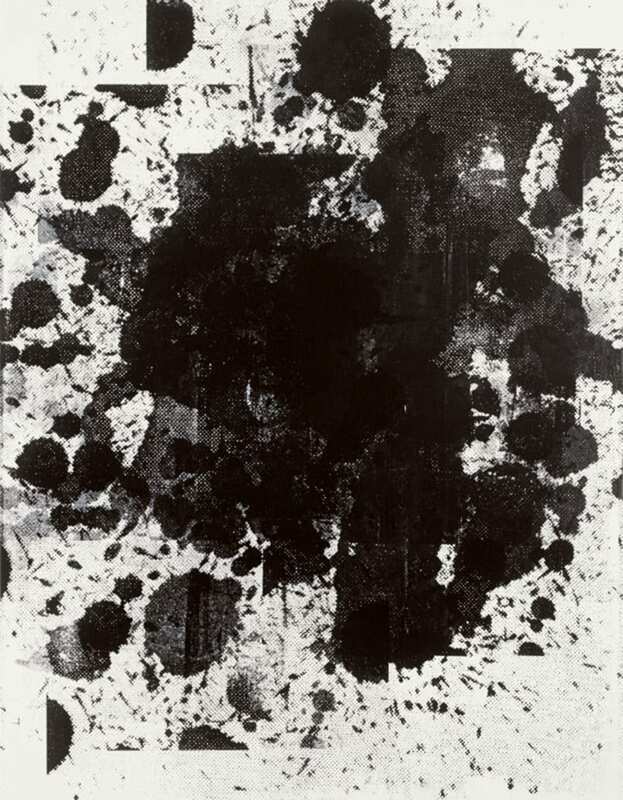 By 1987 Christopher Wool was exhibiting works in the hip downtown galleries of New York, with solo shows at Cable Gallery in both 1984 and 1986. Working out of his raw 3,000 square foot fourth floor walkup in Chinatown, Wool was creating large-scale paintings on aluminum panels. Wool, with the help of his assistant, built the aluminum panels from scratch, making them as large as the two of them could physically carry up the stairs to the space. They constructed a spray booth to apply a flat white layer of acrylic paint to the panel then Wool painted using rollers, block prints, linoleum stamps and other items in search of a new visual language. During this period in Wool’s career, there were not many people coming and going from the studio. Funk, hip-hop and acid jazz streamed from the stereo. Wool began exploring text as imagery, appropriating words from popular culture; album covers, books and film noir and people like James Brown and Lenny Bruce provided words for his paintings. Initially Wool would purchase ready-made stencils from the local hardware store but soon he was exploring various fonts and letter sizes, custom-making stencils for his large panels. There was a demand for Wool’s distinct visual vernacular and Luhring Augustine had a waiting list of collectors interested in Wool’s word pieces before they were even completed. Each work would be planned out, the letters mapped for placement. The process took the effort of both Wool and his assistant as the stencils were unwieldy and the alkyd was messy. Only able to paint one letter at a time, they would move between artworks allowing the paint to dry. A development beyond the rolled and printed images, the effect of the stenciled panels, though structured, was immediate. Flaws and blemishes were inherent to the act of creation and Wool embraced these irregularities as part of the painterly process. With his success, Wool upgraded his work space, taking over Eric Fischl’s studio in the East Village. Wool wanted to work on an even larger scale and his new space, with a freight elevator, allowed him to do so. Wool now had multiple employees. 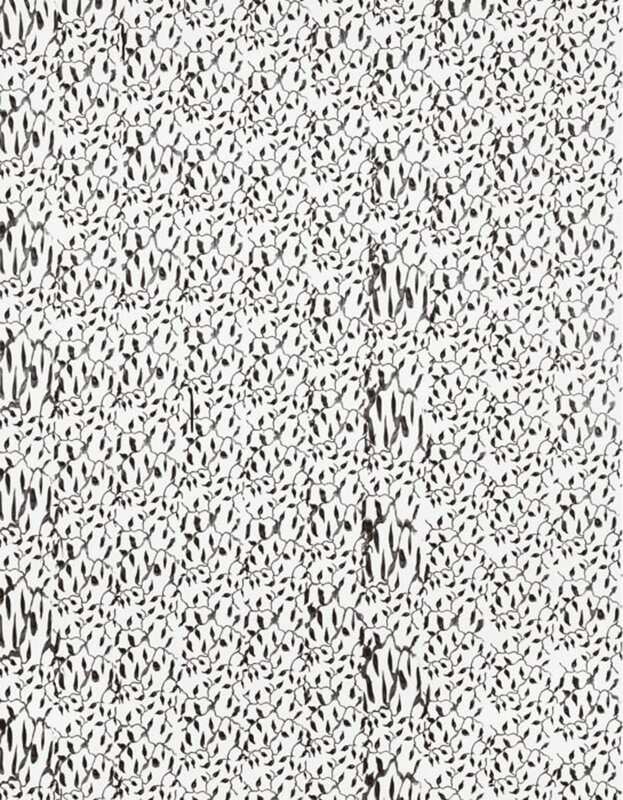 Posted in Painting and tagged 303 Gallery, Christopher Wool, Essay, Painting, Paula Cooper Gallery, Robert Gober.